“Authorised Dealer” means a member of Infiniti’s authorised dealer network in Vietnam. “Infiniti” means the Infiniti Vietnam a division of Nissan Vietnam Co. Ltd, with registered address at 181 Nam Ky Khoi Nghia, 7th ward, 3rd district, Ho Chi Minh city, Vietnam. “Cookies” mean small data files created to enhance a user’s experience on the Site which files are stored on the user’s computer’s hard drive. “Personal Information” means personal information as defined by laws. “Site” means the Infiniti website. “Third Party Providers” mean third party agents providing services to Infiniti subject to an agreement. 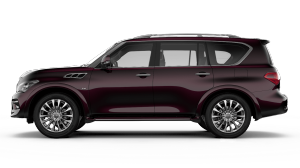 Infiniti will require your consent each time we collect your Personal Information will be used for Infiniti’s business purposes only, which is the marketing of the sale of Infiniti cars and associated products and services. By sending your Personal Information to Infiniti, you agree that Infiniti can process your Personal Information for the purposes you provided them. Infiniti will keep and use your Personal Information (and any other information which it may hold about you from time to time) now and in the future (i) to provide you with the agreed goods and services you requested, (ii) to provide you with information on products and services which may be of interest to you and (iii) for the purposes of conducting market research. (iv) to record and maintain the details of your purchase of an Infiniti vehicle for warranty purposes (v) to inform you in the event of a recall campaign. If you would prefer not to receive electronic communications providing information about products and services from Infiniti or its Third Party Providers, please inform Infiniti that you wish to opt out of receiving such information. Infiniti will only store your Personal Information for as long as required to fulfil the purpose for which you provided your Personal Information. 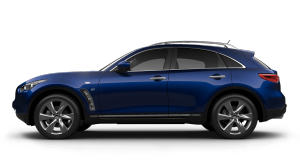 Notwithstanding the foregoing, Infiniti may be legally obliged to keep your Personal Information on file after the end of the transaction which led to the collection of your Personal Information. Infiniti will take all technical and organisational security measures to ensure your Personal Information is kept securely to protect your Personal Information against accidental or unlawful destruction or accidental loss, alteration, unauthorised disclosure or access, and which provide a level of security appropriate to the risk represented by the processing and the nature of the Personal Information to be protected. Technological advances mean that safety measures are in place and will continue to be improved to safeguard you and your privacy. By disclosing your Personal Information to Infiniti, you agree that your Personal Information is not confidential to Infiniti, Authorised Dealers, the Infiniti group of companies and its Third Party Providers. Infiniti will ensure Authorised Dealers, the Infiniti group of companies and its Third Party Providers have the appropriate technical and organisation measures to maintain the confidentiality and security of your Personal Information. Only authorised personnel of Infiniti, Authorised Dealers, the Infiniti group of companies and Third Party Providers with a duty of confidentiality which persists after the termination of employment may process your Personal Information. 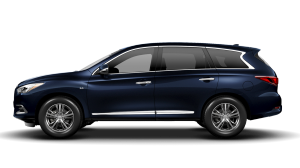 Upon your request, if you need to contact Infiniti in relation to any aspect of this Policy, including without limitation, your right to restrict the processing of your Personal Information, please contact Infiniti Vietnam, by using the Contact Us form.